Documents over 300 examples of ancient gold jewelry from the Bronze Age to Byzantium. 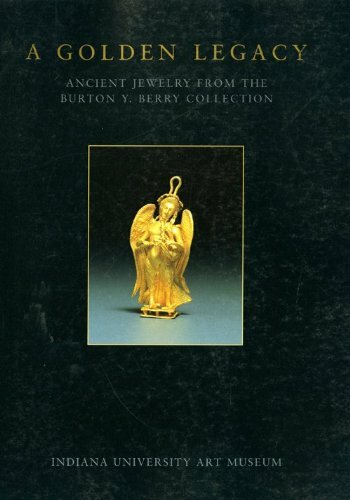 An invaluable resource for studying and enjoying the art of ancient jewelry. WOLF RUDOLPH is Associate Professor of Ancient Art and Classical Archaeology in the Department of History of Art at Indiana University's Henry Radford Hope School of Fine Arts. He has served as Director of the Halieis Excavations in Greece since 1970 and has published on ancient jewelry, Greek ceramics, and ancient urbanism.